Lars Mygind helps us understand the objectives and protocol of META-Health for treating any health problem. Moreover, find out the concept of META-Health and how it helps to holistically transform our lives. Lars Mygind believes that our body has the ability to repair itself and that we should take responsibility of our own health. 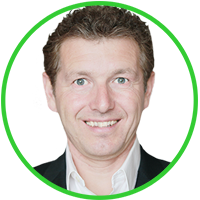 Furthermore, find out Lars views on, what it means to be a META-Health practitioner. Lars Mygind shares with us details of his health problems and how META-Health helped him transform his thoughts and perceive his problems differently. Interesting enough, learn about our body’s response in the stress and regenerative phases and the effects of stress on our body. Lars Mygind, talks about his health issues and how with META-Health’s tools, he was able to treat the root causes of his health problems. 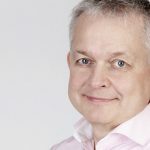 Furthermore, to help us understand the efficacy of META-Health, Lars provides some examples of his experiences of health issues and how he treated them from META Health’s perspective. Lars Mygind, talks about how the thoughts at our unconscious level have the potential to affect our personality. Furthermore, Lars explains the process of the unconscious mind in storing information and how the thinking that occurs in our unconscious world can affect us in many ways. Lars Mygind, talks about prostrate and bladder related health issues and their right diagnosis. According to Lars, cancer is the most feared disease and the fear of it can have a tremendous impact on health. Furthermore, Lars talks about the method of approach involved when dealing with prostrate cancer. Lars Mygind, talks about the benefits of bringing healthy changes in diet and lifestyle to improve our bodily functions. 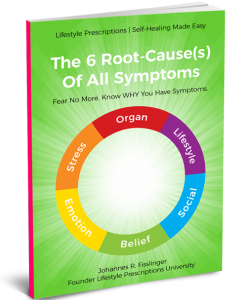 Find out the reason why we fall sick after adopting a healthy diet or exercise regimen, as Lars talks about the stress and regeneration phases of our body’s self-healing process. Hanne Mygind, talks about her perception of good health and thinks that, it is important to listen to our heart and body when looking for alternatives to deal with our health problems. 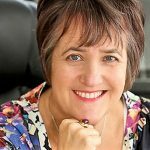 Moreover, find out how META-Health has taught her to consider the emotional aspects of her illness and has helped in bringing a holistic transformation to her life. Hanne Mygind, talks about her background and how her illness helped her to consider alternative medicine and eventually find META-Health. 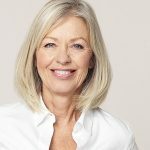 Find out more from her, about her health problems and how she overcame them using the Emotional Freedom Techniques (EFT), meditation and therapy. Gary Craig, shares his perception of good health and what steps does he take to maintain his health. Learn about his experience of working with war veterans who suffered from Post Traumatic Stress Disorder (PTSD). Moreover, find out how we can tackle the emotional contributors to our problems with the Emotional Freedom Techniques (EFT). Gary Craig, talks about his inspiration to pursue psychology after having a degree in engineering from Stanford University. Find out how he was introduced to the Emotional Freedom Techniques (EFT) and how did he share his EFT skills among people. In addition, we find out Gary’s views about merging the concept of acupuncture and psychotherapy. 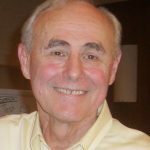 Gary Craig, shares information about his professional background and about his journey from graduating from Stanford to practicing the Emotional Freedom Techniques (EFT). Interesting enough, Gary shows us the possibilities of balancing out our emotional issues and clearing the blocked energy pathways in our body, by using the EFT techniques. Emily E. Hunyady, believes that, the involvement of technology in the education system, has the potential to cause pure destruction of self and society. She talks about how the interaction of the virtual world in the current education system influences the young generation. In addition, Emily speaks about the addiction of teenagers to the social networking sites, which can affect their overall self-esteem and personality. What is Good Health for Me! Emily E. Hunyady, believes that, in order for us to be in good health, it is important that we try to be happy and work on our stress factors. Find out what message does she have to convey about META- Health and its role in modern healthcare. In addition, learn about the influence of teachers in creating awareness of health nutrition among students. Emily E. Hunyady, shares her experience of being born into META-Health background, with her parents as META-Health practitioners. She talks about the influence of META-Health on her as a child and the contrasting perception of people about health. Find out from Emily, the pressures that the young generation has to face in order to stay healthy and the role of media in health and diseases differently. Anu Mehta, shares her experience of living in India and their cultural norms for women. She talks about the difficulties that she had accepting her own culture, as she thought that it gave little importance to women. 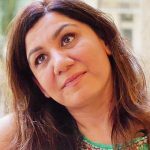 Learn more about how she was at peace moving into a new cultural setting, where she could express her opinions completely. Anu Mehta, discusses the importance of having a structure when dealing with our stressful emotions. She believes that doctors and specialists from both conventional and alternative medicine, play a vital role in guiding us through our health issues. According to Anu, META-Health helps us in dealing with negative emotions, by providing us the tools to overcome them effectively. Find out more about how we can work with our emotions and their subsequent health problems. Bruce Lipton, PhD, shares his research on stem cells and the influence of our environment, which changed his views about genes determining the fate of our health. Learn from Bruce, how the genetic activity in our body is controlled by our response to the environment and how the brain releases the chemicals based on our interpretation of the world. How Our Mind Interprets the World? Bruce Lipton, PhD, explains how our mind interprets the world. He shares some interesting facts about cells and what actually determines the chemistry of our body. Find out how we can use our environment to heal the existing lifestyle diseases such as, heart disease, hypertension, diabetes and even cancer. Bruce Lipton, PhD, shows us how we can find a platform in our existing health issues and how we can respond to them using the “Science of Epigenetics”. Are you are feeling dull today? Do you want to know the reason for your underlying sadness or sorrows or the constant feeling of unhappiness in your life? Watch this video to learn about the “Science of Personal Empowerment” that will only help us to heal better! 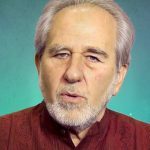 Bruce Lipton, PhD, talks about the common misconceptions we tend to have about ourselves and how mindfulness can help to change these misconceptions. In addition, learn about the mindfulness techniques, to shape our personality and perception and understand how we can share a healthy and beautiful relationship with ourselves and our loved ones! Bruce helps us to reboot our thoughts in exchange for a healthy relationship with ourselves. What You Think Is What You Become! Bruce Lipton, PhD, believes that, “what we think is what we become,” because our beliefs can shape our behavior. Learn how our mind can be influenced by the environment and the role play of our conscious and unconscious mind in creating our own personality!